After your book is published, you may wish to use a bookshop promotion service as part of your marketing strategy. SilverWood often refers its authors to Nigel Roberts Book Sales and Signings. 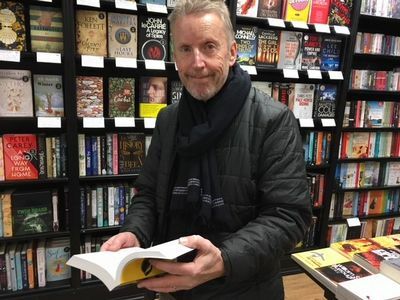 Nigel Roberts is an experienced book promoter who can promote your book to bookshop buyers throughout the UK for a period of one month with the option to continue according to the progress being made. This can include pitching for a bookshop signing, or inclusion in a bookshop-themed author event. Nigel’s numerous contacts include Waterstones, Blackwells, WH Smith, Foyles, Daunts (including all their head offices) plus independent bookshops. Nigel explains, "I have worked in this field for various publishers for a long time now and - as a result - I have built up excellent contacts with all the big chains, their head offices, independent bookshops and not forgetting library and school suppliers. So I am ideally placed to get your book out there! I was made redundant in my early fifties so I decided to use my experience and contacts by going freelance. That was eight years ago - and I haven’t looked back. I love what I do!" Talk about your book on Twitter or post the cover image of your book on your Face Book page and say why you wanted to publish it and what it is about. SilverWood Books are excellent on Twitter and Facebook - so do like/engage/share their feeds as well. It all helps to get your book out there. It’s really important to tell your friends & family to call in and ask for your book at their local bookstore. The more people who order or enquire about your book, the more likely the bookshops are to order stock of your title. Introduce yourself and say you are a local author and would like to donate a copy of your book to them to see if there is any interest. They usually do like to support local authors. If they sell that copy easily, they will be ordering more. Address it to the Book Editor (by name if possible) and say that you are a local author. You could include a couple of paragraphs about yourself and mention any on-going promotions or book signings. Local papers are also usually keen to help local authors. Bookshops usually expect a discount of at least 35% of RRP, often more. If your book is printed using POD, then the discount will not be attractive enough for a bookshop so arrange to supply your books directly to the bookshop if they are happy with that arrangement, or opt in to SilverWood’s UK book trade distribution relationship with Central Books. For more information please request SilverWood’s Central Books Factsheet. Nigel says, "These are my top tips, plus of course, using my services would be another one! I charge a monthly fee of £275 and I do ask for payment in advance. Do contact me if you have any questions, or would like to know more. Either ring me on 0789 446 4804 or email me here."